The Alzheimer's Breakthrough Ride is a cross-continental bike ride to build awareness and Congressional support to fight Alzheimer's Disease, conceived by Dr. Bruce Lamb, a researcher at The Cleveland Clinic and professor at the Case Western Reserve University School of Medicine. The ride started in San Francisco on July 17, and will end in Washington, DC on September 21. The group arrives in Cleveland on September 13. 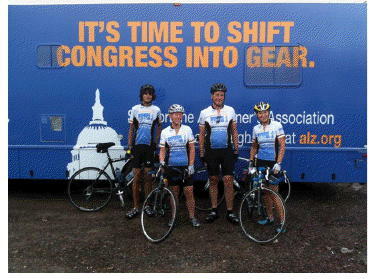 You can meet Dr. Lamb, as well as other riders, including researchers Dr. Sanjay Pimplikar and Dr. Bill Lynch. Please come rain or shine! Play the Brainiac game and get a squishy brain! 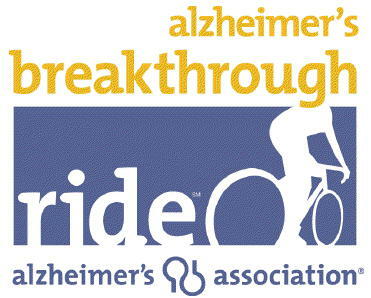 See www.alz.org/breakthroughride for more information.